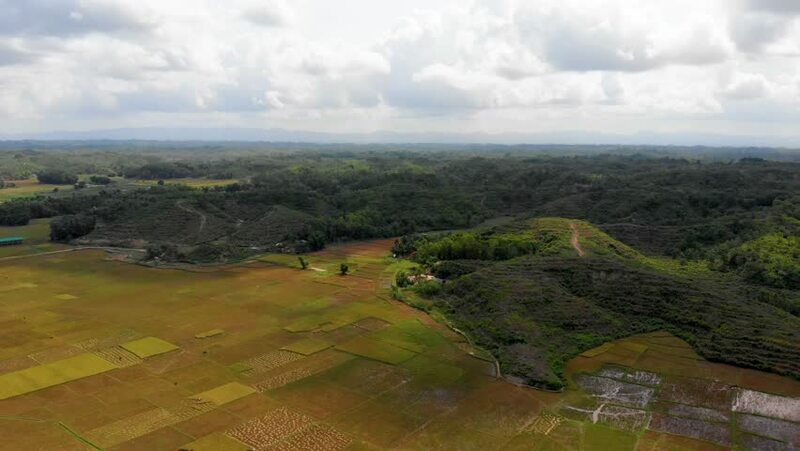 4k00:15Aerial view of rice terraces and agricultural farm land in mountains valley. Cultivation of agricultural products in mountain province. Mountains covered forest, trees. Luzon, Philippines. 4k00:17Mountain river flows into the sea. Tropical river in the rain forest in Asia. Philippines, Camiguin. 4K video. Aerial footage.